The cooperation enables the use of innovative, multi-vendor unified communications solutions Starnberg medium-sized companies, 30 October 2009 ESTOS, leading manufacturer of unified communications software, and AVAYA, a leading provider of solutions for business communication today announce that the Starnberger software company AVAYA DevConnect international partner program has been selected. ESTOS developed professional standard software for medium-sized companies, which make more effective their communication processes so that, to increase their productivity as a whole. The already award-winning middleware ESTOS CallControlGateway ensures the seamless integration of Microsoft Office Communications Server 2007 (R2) with the AVAYA IP Office System. Within the framework of the DevConnect Program joint development and partner marketing activities are promoted with 3rd party vendors. Condition of membership is outstanding technological know-how especially in the Field of IP telephony. Florian Bock, Managing Director at ESTOS is pleased about the recording: very modern medium-sized companies benefit from our cooperation with AVAYA. The innovative combination of the AVAYA IP Office series with the Microsoft Office Communications Server R2 using ESTOS Middleware enables a standards-based optimization of their communication and business processes. Latest unified opens users to communications features. The AVAYA DevConnect Program are already several thousand companies. Speaking candidly Castle Harlan told us the story. 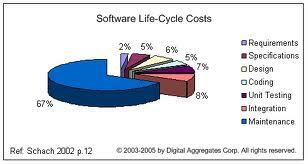 These include software and hardware vendors and system integrators and service providers. The excellent partners offer innovative solutions, which have been the interoperability with the AVAYA products fully tested and certified. All members have access to the AVAYA AurTM application enablement services. The offer includes detailed APIs (application programming interfaces), protocols and Web services. These allow for the smooth development of AVAYA compatible products. ESTOS, the latest member of the DevConnect Program welcomes Eric Rossmann, Vice President developer relations and technical alliances, AVAYA with the words: development partners like ESTOS significantly help to increase the number of available ICT solutions based on our products many times over. Unified Communications provides our customers with significant competitive advantages.